Extra evening, weekend and Bank Holiday appointments are now available in East Kent to help patients get the care they need, when they need it. “We know that people sometimes have to wait to see a nurse or doctor and we believe the new longer hours will be of particular help to commuters, parents with young families, and other people who find it difficult to get to their practice during normal working hours. Anyone wanting to make an appointment should contact their GP practice in the first instance. Trained reception staff will know where and when appointments are available, and with which healthcare professional, and will be able to book the patient in. Patients should advise the receptionist if they particularly want an evening or weekend appointment. As part of the Improved Access Scheme, Faversham Medical Practice, Newton Place Surgery, and Estuary View Medical Practice are working together, to offer all patients in Faversham and Whitstable the opportunity to book an appointment in the evenings and on weekends. Faversham Medical Practice have a range of appointments on Saturday's between 8am-1pm. Newton Place Surgery have a range of appointments available every weekday between 6.30pm-8pm. Estuary View have GP appointments available on Sunday's throughout the day. All patients from these GP Surgeries have the choice to book into these appointments. It doesn't matter which surgery you are registered with. 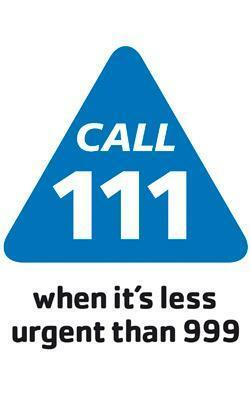 If you require urgent medical assistance outside of normal surgery hours please call NHS111 by dialling 111. The practice now runs the Minor Injuries Unit at the Faversham Health Centre. It is available to all patients both in and out of Faversham. Entrance is through the Health Centre. You can also get treatment for Minor Illnesses for problems like infections, rashes, coughs and colds when your GP surgery is closed. Please note that the surgery will be closed on the following afternoons from 1pm for mandatory staff training. Canterbury and Coastal Consortium Group have arranged out-of-hours GP cover for the afternoon which can be accessed by dialing 111. The Minor Injury Unit will still be open from 8am-8pm every day and will be able to see any Minor Injuries or Minor Illness whilst the surgery is closed. This is open to all patients, whether you are registered with a Faversham GP or not.